This essay has been inspired by the writings of the contemporary Neo-Confucian philosopher Mou Zongsan and the German sinologist Wolfgang Bauer. It assumes that the power of Mao Zedong’s thought sprung from its ability to systematically subordinate the transformative philosophy of the classical Book of Changes to the Marxist model of revolutionary class struggle. If dialectical thinking requires thought to think against itself and thereby be able to continuously change itself from the inside, Mao seems to have been a master of dialectical thinking. One of the intellectual impulses for the Great Cultural Revolution was the radically unsentimental judgement that, in order for the socialist revolution to succeed, it was necessary to erase the ancient Chinese legacy of paradoxical thinking, and that this was a precondition of the possibility of Mao’s Sino-Marxist discourse. But the enormous power that Mao’s thought derived from the tension between revolutionary heroism and transformative flexibility revealed itself as self-destructive. Mao tried to fight against the failure of his revolutionary vision and the possibility that the wisdom of paradoxical thinking and the classical heritage of China could, finally, gain the upper hand in the ongoing struggle for modernization. 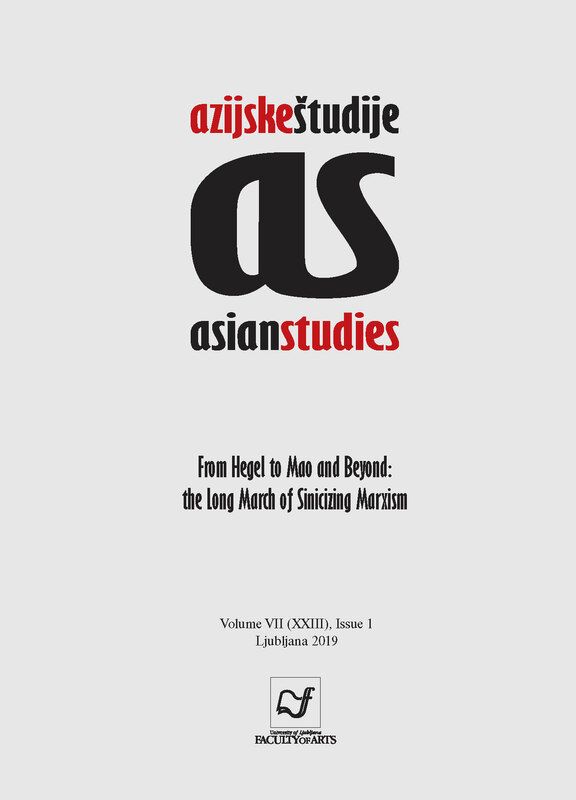 From this perspective, this essay touches upon a contradiction, which can be understood as the principle contradiction of contemporary Chinese philosophy: the contradiction between the defence of Sino-Marxism as the ideological foundation of a “socialism with Chinese characteristics” on the one hand, and the renaissance of traditional culture and classical learning on the other, which entails a powerful challenge to this very foundation.